It seems to me that the world drinks an awful lot of black gold liquid that we know of as… coffee – 6 million metric tonnes in fact. New Yorkers might say “you want some Corfee” and here in Lancashire, UK we say ‘You wanna brew?’. However you refer to this deep aromatic liquid, lets pause for a moment and retrace the steps that those little black beans have travelled to be with you. It isn’t surprising that there are approximately 2000 ships carrying your coffee beans around the world, which is understandable when you consider that coffee is the worlds most traded liquid after petroleum. For years I’ve used an espresso machine and love the preparation. The sound and the smell. If I have friends over then we can talk and laugh while preparing the drinks. There is something so unique about the way that coffee brings people together. It is understandable why ancient Ethiopians used coffee as part of sacred rituals and saved this drink for the very best of circumstances and events. It is in those moments when the very best of those in our world are around that we make the best memories. In a coffee culture there is time for others. Time for the people in our lives, the people that make out lives so rich. There always seems to be too little time, so make the most of yours with those who are important. Ethiopia’s coffee ceremony is an integral part of their social and cultural life. If you are ever invited to a coffee ceremony it is considered a great honour an offer of friendship or respect. Don’t be in a hurry though – this special ceremony can take a few hours. So sit back and enjoy because it is most definitely not instant. Throw out the instant and fire up the percolator, let go of time. It seems funny that when we “progress” through life our houses get bigger and we move to a detached house or if we are really privileged we remove ourselves from the community and live in the countryside, miles from anyone. We weren’t created to live in separation, detached from people. We were born for relationship. There is something about being a part of a community that makes life work, an unseen force, an outlet for frustration and a party to celebrate with. Community brings the very best out of us and allows people to share and experience in the greatness of who we are. How good and how pleasant it is when people live together in unity. I love coffee. I did wonder whether I should stop at this point, but I thought it may be a disservice. When something is put under pressure it usually creates something some impressive. Coal or carbon that is put under intensive pressure over an extended period of time creates ‘a girls best friend’…diamonds. 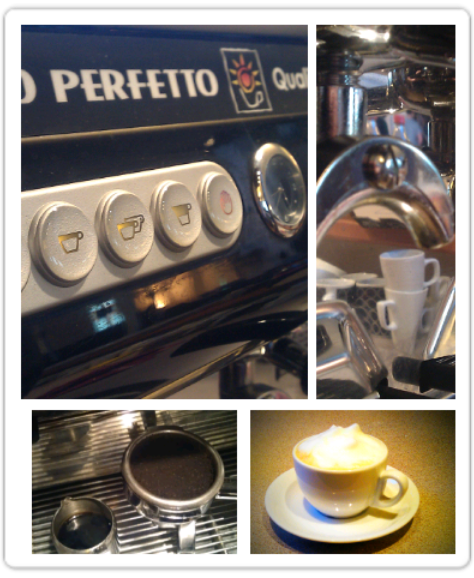 Coffee that is put under 9 bar pressure produce a rich, aromatic espresso that is a coffee lovers best friend. The espresso is best enjoyed when using freshly ground coffee from the largest Arabica beans picked from the heights of the Brazilian hills. There are coffee machines that use capsules or pods to produce the espresso that we so dearly love and the purists would condemn these devices to the fiery depths of the household recycling plants, but I have to say that they produce a very nice espresso. In their favour it is incredibly easy to configure the pressure, timing and strength of the espresso. Nextit’s a shiny rectangle, but what’s inside?